If you read Mileage Plan 101 on the basics of booking award travel, then you should know that Alaska Airlines has 16 different partners that can help you get almost anywhere in the world. However, award space can be limited, and the sheer number of possible itineraries on these longer trips can sometimes make it difficult to book. Mileage Plan has relatively generous award routing rules and in almost all cases provides one-way awards at half the price of traveling round-trip. The two exceptions are for travel on Delta Air Lines and Korean Air. This brings us to the second rule. You can only travel on one partner in each direction, although you may choose to fly a different partner on the return journey (even if one of those partners is Delta or Korean Air). Mix-and-match awards add the one-way prices of each journey to determine the round-trip cost, or you may choose to book each one-way journey separately. Finally, you may add as many connecting segments on Alaska as you need in order to reach your international gateway. Suppose you want to visit Europe this summer. Partners offering award travel to Europe include British Airways, KLM/Air France, American Airlines, Delta Air Lines, Emirates, and Icelandair. How do you choose? 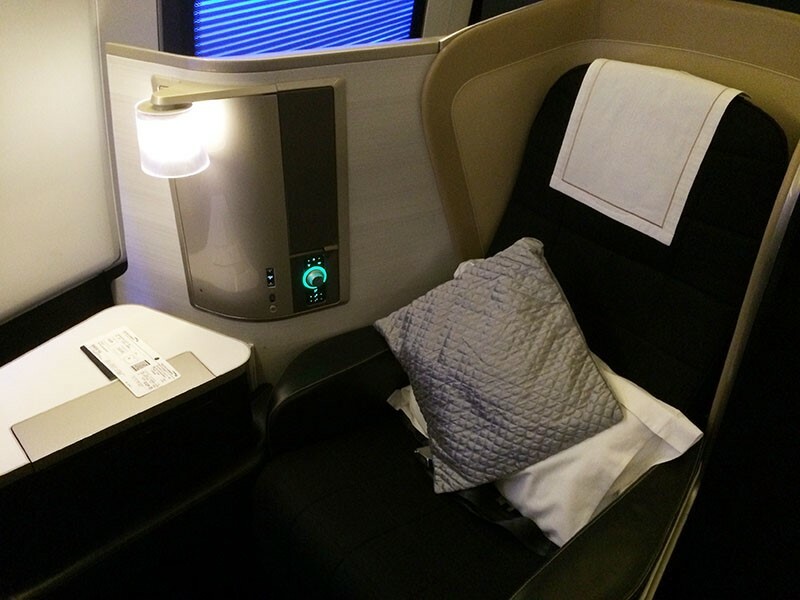 You could redeem your miles for travel in British Airways first class, featuring lie-flat beds, window blinds, and multi-course meals. If you want to go to Paris, then Air France makes sense, but all of these carriers offer connecting flights to your final destination. The number of miles you’ll use can vary. Mileage Plan has a different award chart for each partner, so some might require more or fewer miles. Also, pay attention to fees, as some partners charge higher fees for their awards. The biggest reason to pick one partner over another will likely be award availability and your need to compromise. For example, a search from Seattle to Munich found these awards on Emirates and British Airways. The seat icon on these business and first class awards indicates that they are “mixed cabin” itineraries. In the case of Emirates you’ll pay lower fees but need to spend the longer flight from Seattle to Dubai in coach. In the case of British Airways, you’ll pay higher fees but get to travel in first class; only the short hop from London to Munich is in coach. One strategy is to ignore any connections for the moment. That short hop from London to Munich is fine in coach, right? So limit your searching to the longer flights you care about. Travel to Asia provides a good example. Suppose you want to visit Bali, which is only served by one of Alaska’s partners: Cathay Pacific. Visiting their website reveals that it serves eight cities in the U.S. and Canada, so begin your search by looking at just these eight routes to their hub in Hong Kong. OpenFlights.org is another great resource that lets you search for routes by either city or carrier. With eight cities served in North America you will have eight different ways to book your trip to Asia. It’s okay if you don’t live in one of those cities. 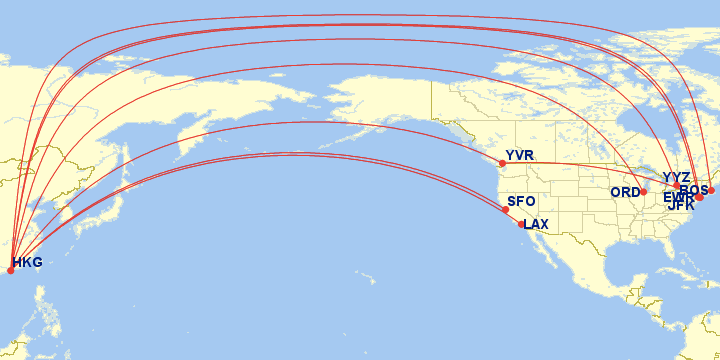 Once you find a city that has award space, look for a way to reach it with connecting flights on Alaska Airlines or Horizon Air. Do the same for your journey from Hong Kong to Bali with Cathay Pacific. Once you find all these segments, you can piece them together into a single award. It doesn’t matter if you searched for them separately as they should still be available when you search for them together. Alaska Airlines doesn’t display award space on its website for two partners, Cathay Pacific and LAN, which means you’ll need to call to search for and book award travel with either carrier. This isn’t unusual since many carriers have a few partners that can only be booked by phone. Reservations can be reached at 1-800-252-7522 from 5a.m. to midnight, Pacific Time. However you don’t need to rely entirely on the reservations agent if you’d like to explore on your own. The award space that an airline provides to one partner will generally be available to other partners. (Alaska Airlines still has the final say when it comes time to book the award, and you’ll pay the number of miles published on Alaska’s award chart, not the partner’s chart. In this example, you could search on either the Qantas or British Airways website for Cathay Pacific award space and then call Alaska to book. You wouldn’t want to search on Cathay Pacific’s own website because you may see much more award space, which it makes available to its own members and not to partners. Successful award travelers break the process down, performing each part themselves. Sometimes the online search tool does a great job, but a little human creativity may uncover additional results. In addition, you’ll now be able to do research on some awards for partners like Cathay Pacific and LAN before you call an agent, expediting the process. 5 comments on "Strategies for booking international award tickets"
Just be flexible and the more advance the better. We just went to Hong Kong and then SE Asia on Cathay and returned via Emirates thru Dubai on business class. Both airlines were accomodating and wonderful. Booking through London is very expensive. Just be flexible and the more advance the better. We just went to Hong Kong and then SE Asia on Cathay and returned via Emirates thru Dubai on business class. Both airlines were accomodating and wonderful!! I was waiting for a business class award seat to open up on a Cathay Pacific flight, so I was checking British Airways’ site daily. When one finally became available, I called Alaska, but I was told there was no availability in business class. I complained a bit to the agent about not having the ability to search online for Cathay Pacific reward seats. While we were talking, she refreshed her screen, and then her system was showing the seat in business class. I don’t know if availability varies from partner to partner, but if an award flight is showing available one one airline’s site and not when you call Alaska, make sure the agent refreshes their screen!